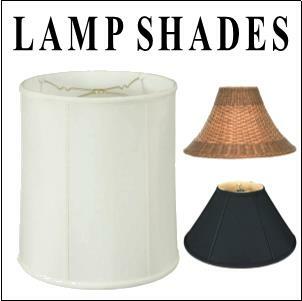 Lamp shades to fit any lamp or personality, small to large lamp shades up to 96" wide - Industry experts since 1975. 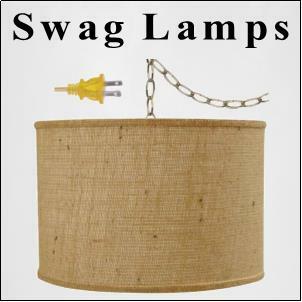 Plug in swag lamps direct from the maker USA made, modern, rustic and vintage swag lights available only here. 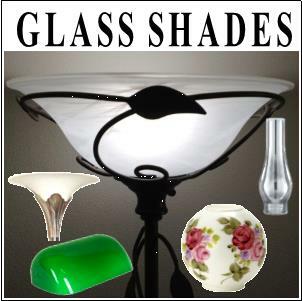 Glass shades - Torchiere, hurricane, chimney & bankers glass lamp shades for modern and vintage lamps. 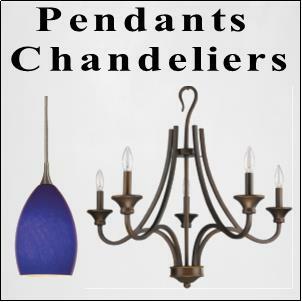 USA made lights direct from the maker - Tired of the same old cloned mass produced lighting ? Shop unique limited edition lights designed for the individual customer from the lovely North Carolina foothills. 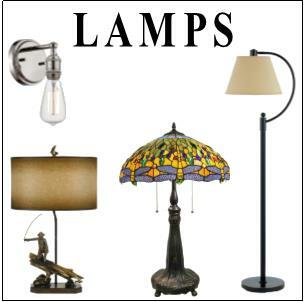 Table, floor & wall lamps - Reading, desk, Tiffany, cocoa leaf, bathroom vanity & sconce wall lights in all sizes & styles. 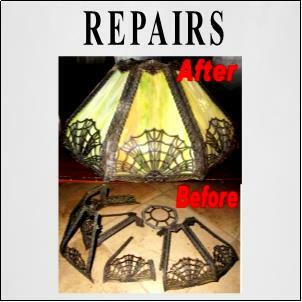 Lamp repair of every kind imaginable by seasoned craftsmen and artists, Tiffany lamp repairs, slag shades, glass shades, structure, comprehensive repair & refinishing. "I am THRILLED with this purchase! Thank you for your excellent customer service and prompt shipping! What a pleasure to do business with you! - Vickie"